There's a great review about #CabaretTour and #RandyHarrison's performance as the Emcee on broadwayworld . 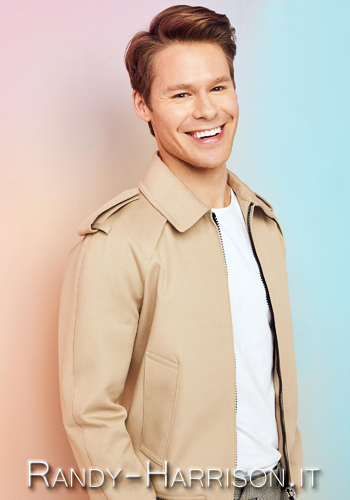 They wrote Randy Harrison as the Emcee possesses a great singing voice and a charisma that makes him a person that, when on stage, must be watched. At the top of Act Two, his interplay with the audience and waving to the balcony saying "Hello poor people" had the audience eating out of his hand . We'll add more reviews below. 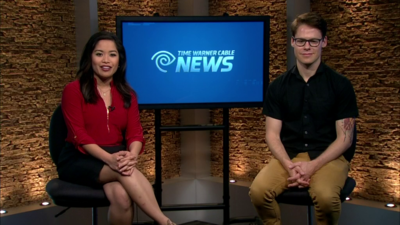 One more interview of #RandyHarrison talking about #CabaretTour with Yvonne Nava in Midday at the KVUE studios today. 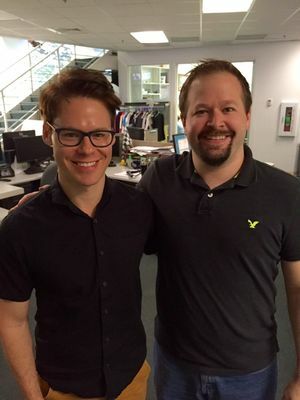 We added to our gallery a photo of #RandyHarrison with Michael Wallace from KVUE, who shared the photo on his Twitter. 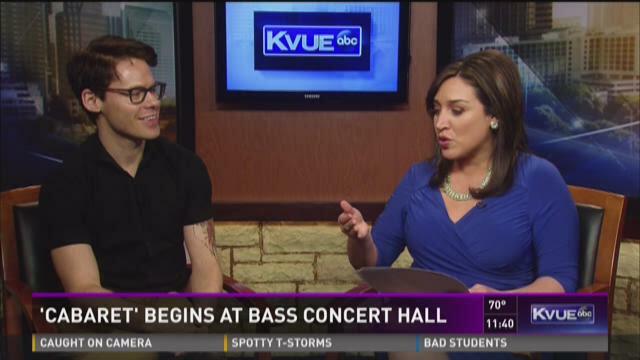 As you know, #RandyHarrison along with the cast of #CabaretTour is in Austin for this segment of the tour, which will have Cabaret's cast performing at the Bass Concert Hall - Texas Performing Arts from March 29th to April 3rd. We have a review about Cabaret and Randy's stunning performance on austin entertainment weekly . There's also a video interview of Randy with Lauren Petrowski in Good Day Austin at the Fox 7 studios this morning. Today is a great day for us and we'd like to share it with you: we celebrate our website's tenth birthday! 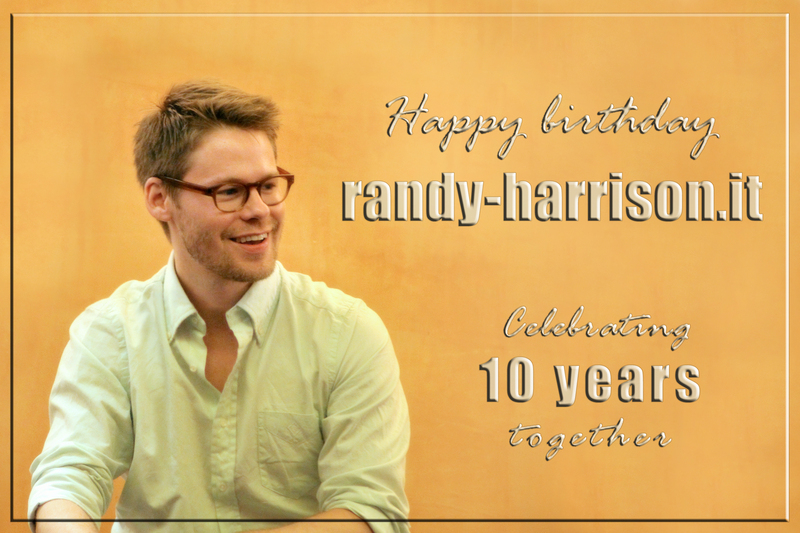 We started this adventure on March 29th, 2006 and we're still here, with the same passion and the same love for Randy's work! Many things happened during all this time, some good, some very bad, but in spite of everything, we never ever gave up! This website doesn't belong just to us, as we always say, but it belongs to fans from all over the world, who love Randy's work and want to follow his career. We still hope that instead of competing, we could all join to build a whole big family. As usual, we'd like to thank all the people who follow and believe in us, and appreciate our work. Thanks to the people who can spend words of support and encourage us to move forward, because running a website is a completely different matter than having a page on whichever social media, and requires much more time, work and perseverance. And we'd like to thank also the people who can't stand us (we know there's a few of them) because they are the incentive to go on and do better and better! A huge thank you goes to Randy for being so prolific and presenting us so many different characters! And finally we must acknowledge Simo for all the hard work she does in order to have everything perfectly working. She's the only one who is able to put on line whatever crosses our minds! IN THE END... THANK YOU ALL FOR BEING STILL WITH US! 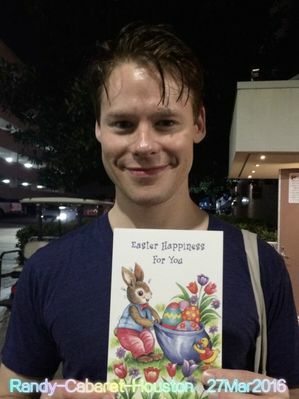 We added some more photos of #RandyHarrison from #CabaretTour in Houston. Thank you so much Wenlei! 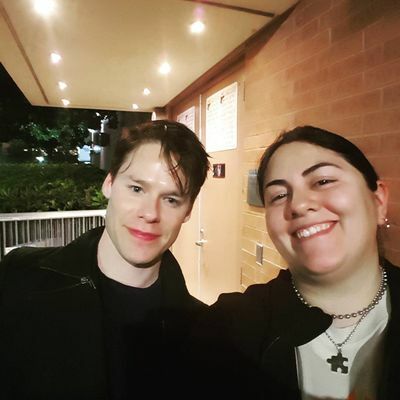 We have a first photo of #RandyHarrison with a fan after his performance in #CabaretTour last night in Houston. We'd like to thank HouFilmFanatic, in the photo with Randy, for sharing her photo with us! She also shared her impressions about Randy: looked tired, but was sweet and took pictures with fans and signed autographs. Thank you so much! 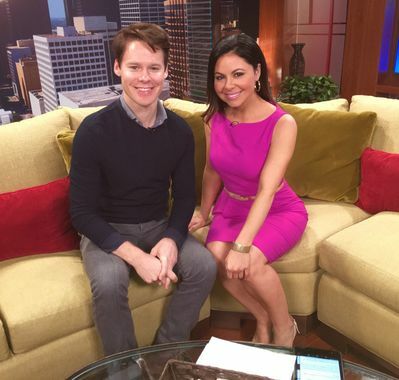 Today #RandyHarrison was at the #KPRC2 studios for an interview with #JenniferReyna. 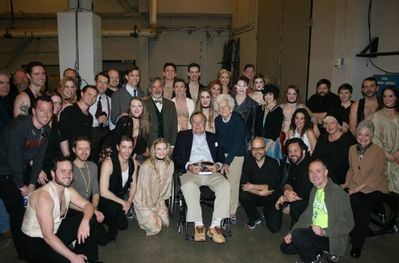 Jennifer posted the photo below on her Twitter. A new interview with #RandyHarrison has been published by Ryan Bellinghausen, who asked Randy about Cabaret's evolution in the long time it has been running, about how he approaches his character, the Emcee, and about what the audience should be able to take away from the show.